McWhorter School of Pharmacy is now accepting registrations for the second annual International Pharmacy Scholars Conference. 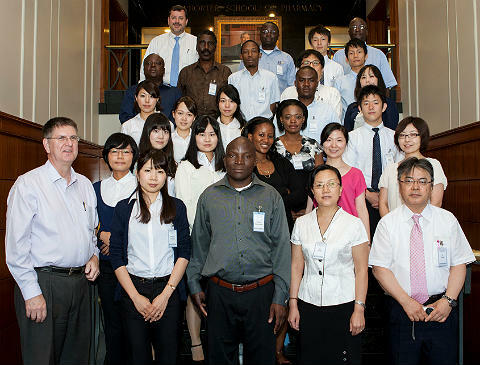 Scholars from around the globe will stay on the Samford University campus, observe various pharmacy practice sites in the Birmingham area and attend workshops and lectures. The conference will be held July 10-20, 2014. The cost of attendance is $1,500 per person, or $1,250 per person when groups of five (5) or more from the same institution register at the same time. Because attendance is limited,registration will not be confirmed until payment is received. To reserve your spot $200 is due at the time of registration; the remainder is due by June 1st. Payment information will be sent to your email address, once the registration form is submitted. In 2013, 28 individuals from five countries participated in this global learning experience. For more information, please contact Kim Eckert at keckert@samford.edu or 205-726-2917.